The WSET Alumni Body represents the 10,006 individuals worldwide who have gained the WSET Diploma in Wines and Spirits. We aim to help foster mutually beneficial, lifelong relationships amongst the alumni community and to support the careers of our graduates as they go on to define the future of the industry. Our programme provides the alumni community with on-going learning opportunities, through specially developed content, events and networking opportunities. Guiding our efforts is the WSET Alumni Advisory Board, comprised of graduates from each of our key regions. These individuals provide guidance to WSET and ensure that activity is by alumni, for alumni. Throughout the year we host a select number of events in key regions where Alumni are located. Upcoming events will be listed here or you can check the event listing pages for details on upcoming alumni events. WSET works with industry experts, many of whom are WSET Alumni, to develop insightful and engaging reports, issued four times a year. These reports are free to Alumni and distributed in our bi-monthly newsletters. Alternatively, they can be downloaded from the login area of this website. Consumer Wine Education: Should the Wine Trade Care? Subscribed alumni receive our bi-monthly newsletter containing the latest news, content and event opportunities alongside special discounts and offers from many of our partners. WSET Diploma graduates are able to use the post nominal DipWSET to signify their academic achievement. DipWSET replaced the previous AIWS which was officially retired on 1 October 2015. DWSET and DWS are accepted alternatives for use in the United States. Due to changes in privacy law (GDPR) in the EU, we have taken the decision to remove the full list of Diploma Graduates 1970 - 2018 from the public pages of our website. 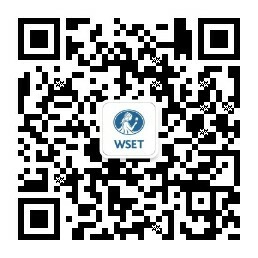 The list will still be available to Alumni, saved in the WSET Global Campus. If you have any questions about this, please email us. Such a great experience. Both the presentations and the networking were first class. The WSET Alumni Body replaced the Institute of Wines and Spirits (IWS) on 1 October 2015. Alumni still using the AIWS post nominal are encouraged to transition to the new post nominals at their earliest convenience.